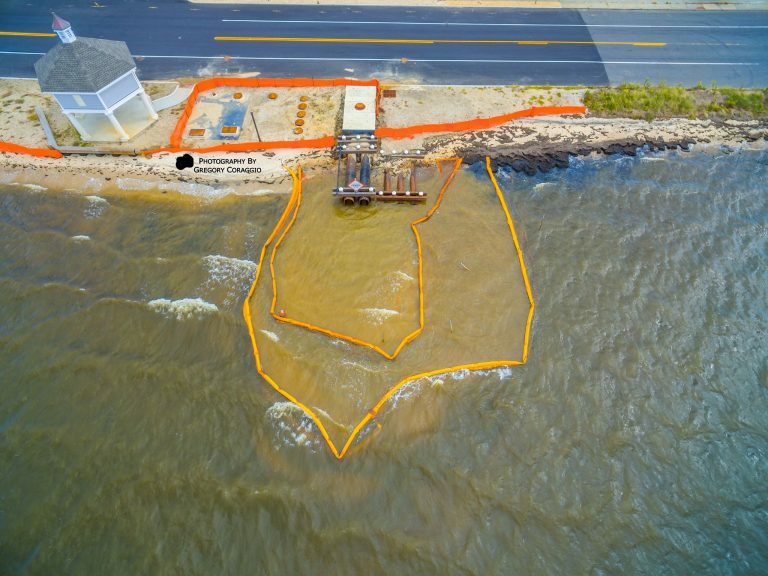 An ongoing silt plume in the Barnegat Bay generated by a state-operated pump station in Seaside Park is not polluted, a state spokesman said. 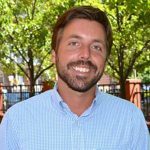 “While the work on the pump stations is being completed, it is possible that there may be some silt discharged into the bay, which is clean,” New Jersey Department of Transportation spokesman Kevin Israel said. The pump station at 8th Avenue is one of nine that dot the bayshore from South Seaside Park to Bay Head as part of the state’s Route 35 reconstruction and drainage project. According to Israel, the drainage system, which includes 76 manufactured treatment devices, or MTDs, that separate trash, oils, and sediment out of the water before it flows to the bay, has recently proven itself in preventing “massive flooding” during the early October nor’easter. But since this summer when concerned residents noticed the pump stations operating during long stretches of dry weather, Britta Wenzel, Save Barnegat Bay Executive Director, continues to argue that the system is not functioning properly. Last Saturday, Save Barnegat Bay volunteer and photographer Gregory Coraggio launched a drone to capture aerial images of the 8th Avenue pump station plume, which Wenzel says indicates a harmful situation since sediment is outside of barriers or “booms,” devices that are intended to keep the particles from escaping into open water. “Ground water infiltration into new Route 35 storm water system contains contaminants (from two known NJDEP sites) that are damaging our estuary,” she wrote on the group’s Facebook page. Wenzel argues that the state “must be held accountable” for the pollution and must provide 24-hour mechanical monitoring, which is imperative since the Ocean County Health Department does not test water quality at bay beaches during the off-season months. But Israel disputes the claim, saying that the booms are functioning properly and the situation is safe.